Plan to plan. This is the key to being productive. I love using an agenda to keep my life straight. But! In order for that to work, I have to schedule time into my planner, just to plan! I go ahead and fill in as much as I know for my regularly scheduled programming. All my peeps are color coded — this helps me when I glance over at my agenda to see what is going on. 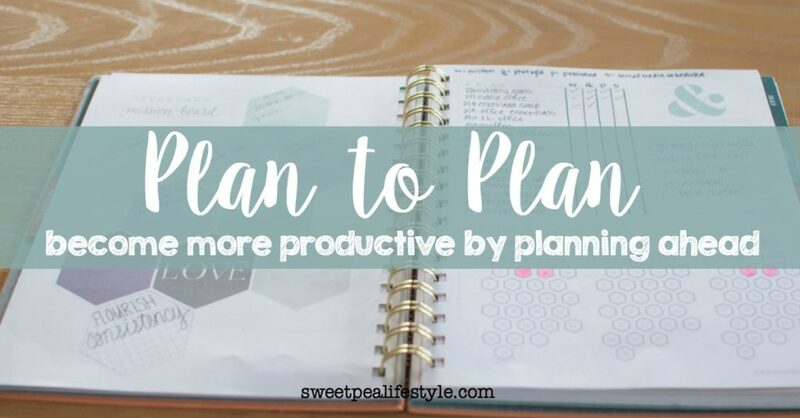 Plan to plan — this is a REAL thing — and for me, it makes me more productive. 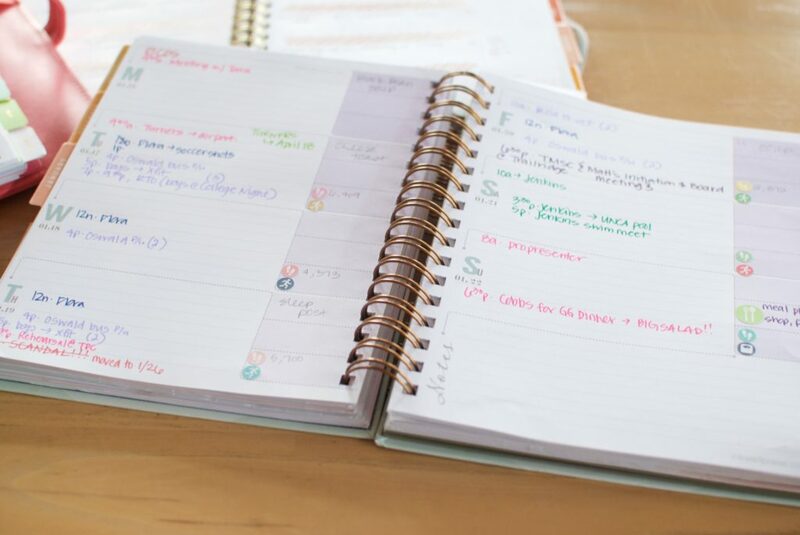 If I don’t block out half an hour to plan each week, I don’t open my planner… Which makes me forget things! Now, I do add things into my phone’s calendar. I leave my paper agenda on my desk — and just use my phone. Sometimes, I wish I had the paper calendar, but most of the time I don’t need it. As long as everything is added to my phone’s calendar! And, as you can see, I don’t use lots of “stuff” in my planner — I have a few stickers from Faye Creates, and I found these through Plan the Pounds Away. 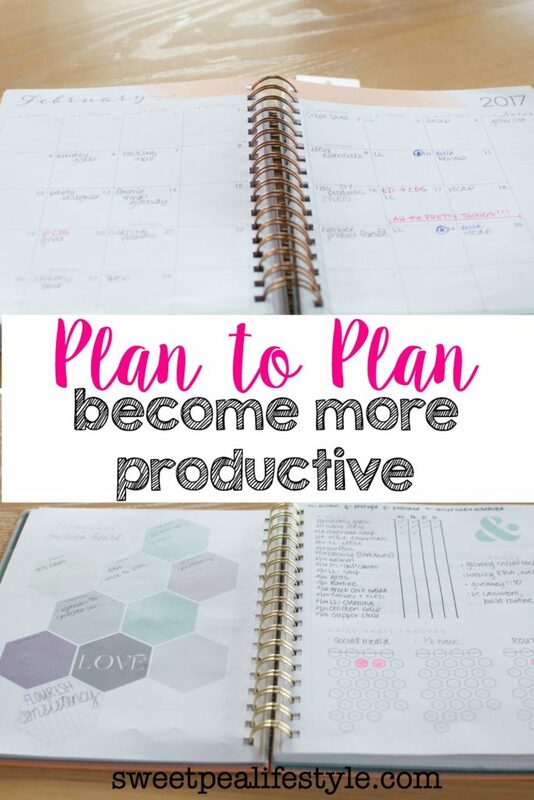 Check out her planner videos — she has great tips! I love watching her weekly ‘plan with me’ sessions! Do you have any planning tips? When do you plan for your month or week? I would love to hear from you in the comments. Here is your graphic to save to Pinterest! Great post! 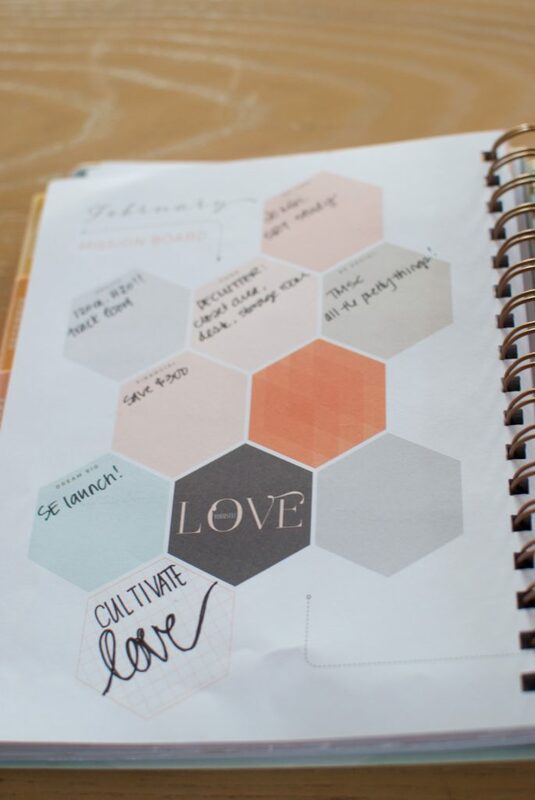 I’m a planner girl too, helps me stay so organized with my business. I’ve learned to make my plan as fluid as possible. When you have 17-month-old twins, sometimes you have to be pretty flexible! But I would be totally lost without my planner, that’s one thing that’s for certain! Yep!! Being flexible is the secret name of the game! Yes!! It only takes a few minutes to prep for the week! Yay for using a planner!! It really does make a difference!